Drag / swipe the timeline to move. Click on the dot for event details. 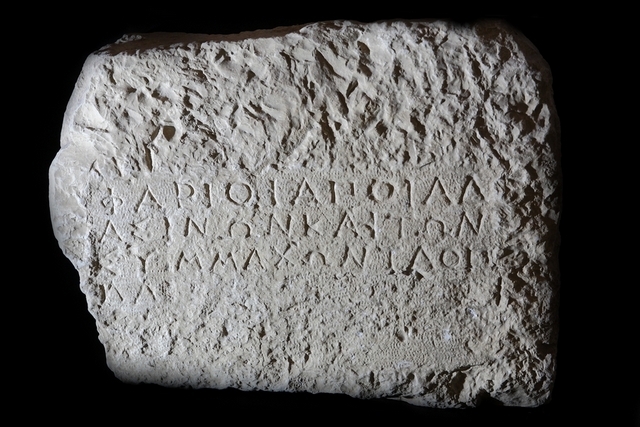 Exactly 2400 years ago Greeks from the island of Paros in the Aegean Sea founded a city and named it Pharos (Φάρος). The origin of the name is still not entirely clear, though it seems likely that it emerged through a consonant sound change in the mother island’s name. 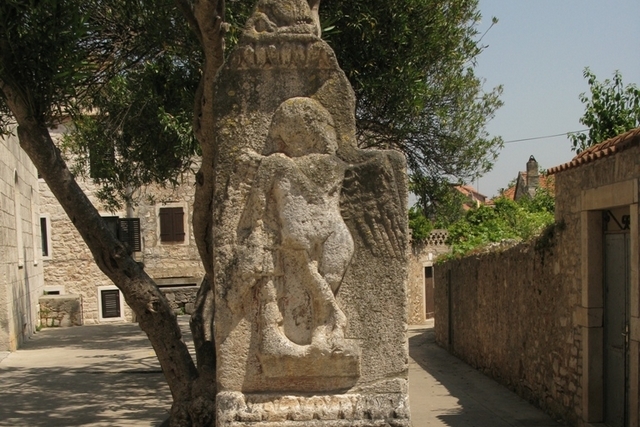 Stari Grad is Aristotle's contemporary. 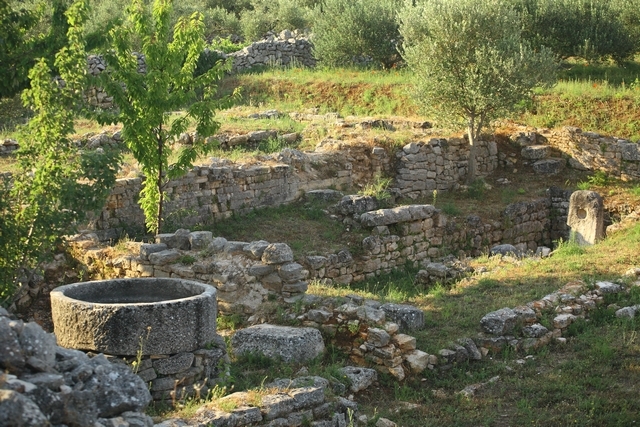 The year in which this famous ancient Greek philosopher and scientist was born in Stagira, Chalcidice, was also the year in which Pharos was founded. Although the Parians found a strong Illyrian community on the island, after a brief struggle they established their rule. Pharos became an independent city-state (polis). 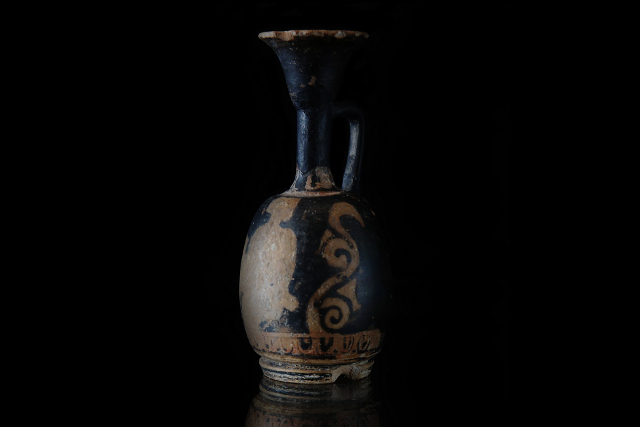 It minted its own coins, had its own pottery workshops and enjoyed an abundance of food from its fertile plain – Chora Pharou (Xορα Φαρου), today the best preserved Greek land division on the Mediterranean. Following the Roman conquest in the 3rd century BC, Pharos was called Pharia, and Chora Pharou became Ager Pharensis. Long centuries of Roman Peace (Pax Romana) ensued. Beneath the pavement in Middle Street are the remains of a Roman villa urbana, with geometric mosaics. 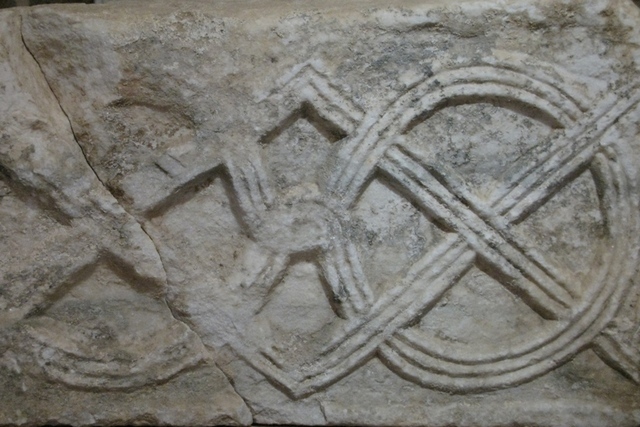 After Constantine's Edict of Tolerance in 313, Early Christian art is flourishing in a natural symbiosis with ancient culture. 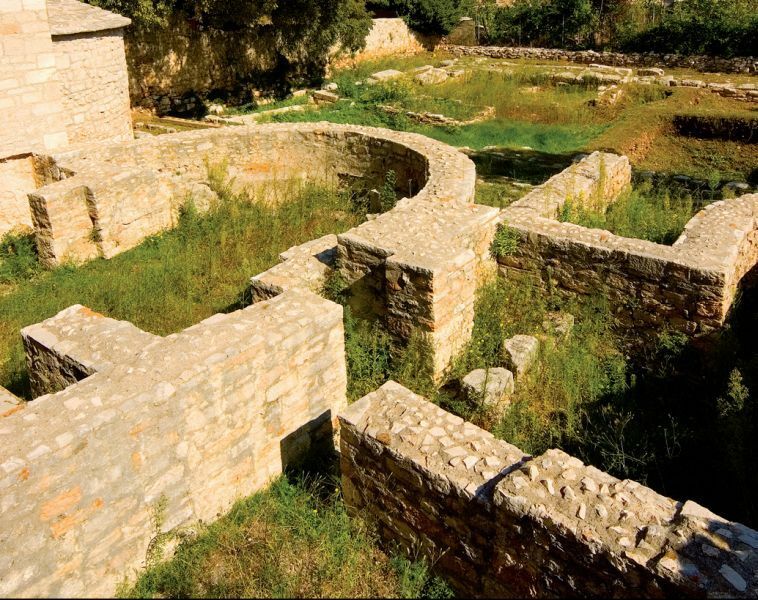 In the 6th century, during the rule of Byzantine emperor Justinian, the Christian community of Pharia raised a twin basilica with a baptistery dedicated to St Mary and St John, located in the south-eastern part of the ancient city. 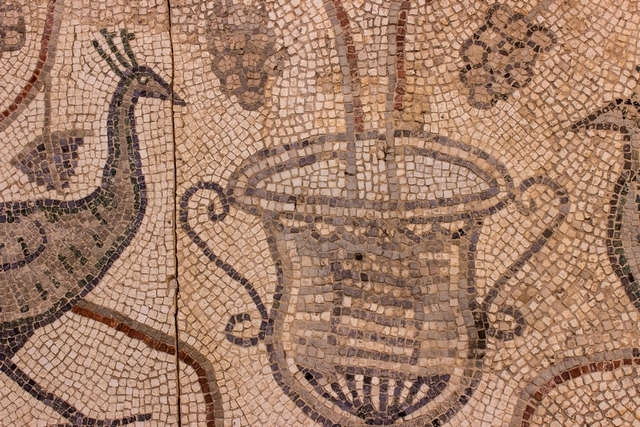 Churches were decorated with mosaic floors and walls decorated with frescoes. 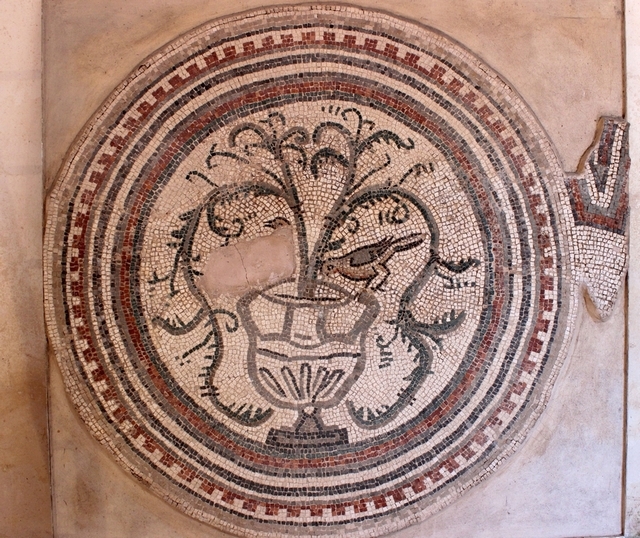 In Early Christian art ancient symbols received Christian connotation: kantharos is a source of living water (Christ), doves drinking from it are a symbol of the Holy Spirit, and ivy is a symbol of affection, while the peacock symbolizes immortality. At the beginning of the 8th century Slavs forced their way onto the island, and took the ancient name for the city and the island - Hvar. In the Early Middle Ages, at the edges of the Plain, new villages of Dol, Vrbanj and Pitve were established. 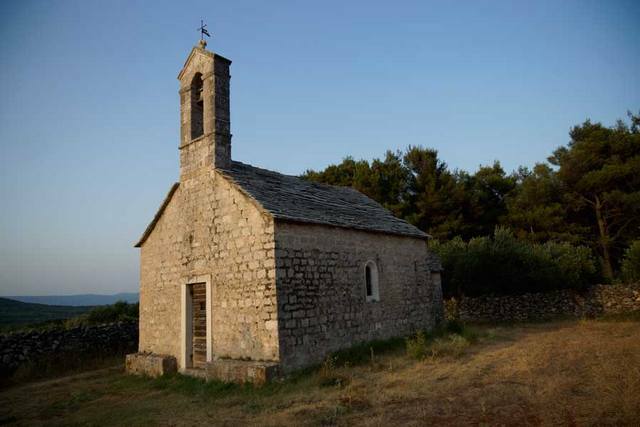 The 12th century saw the formation of the first island noble families as well as the founding of Hvar Diocese of St Stephen in 1147. The Plain was then called Campus Sancti Stephani. After the island fell under the rule of the Venetian Republic, the seat of the diocese moved to the newly founded town of Hvar. 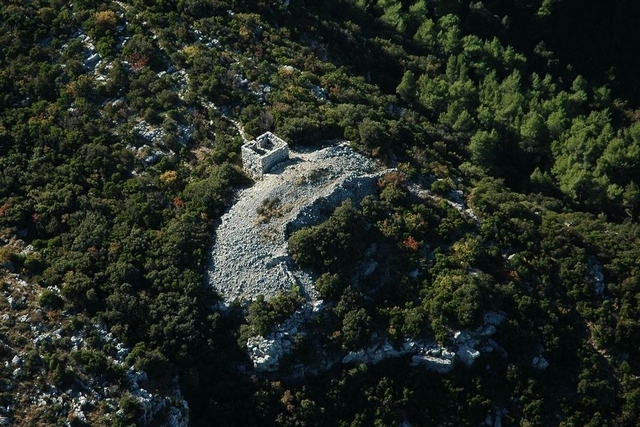 The name of the island Hvar comes from the ancient name of today's Stari Grad - Pharos and Pharia. In the Middle Ages the name was slavicized to Huarra. 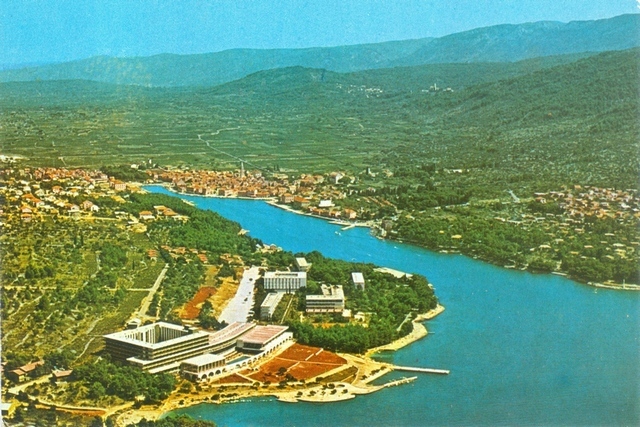 After the Diocese moved, the name also moved, and the old seat became Stari Hvar (Old Hvar) and later Stari Grad (Old Town). This period was marked by the commoners’ uprising, led by Matij Ivanić in 1510 and the invasions of the Ottoman Turks from the mainland, in 1539 and 1571. In the mid-16th century Renaissance nobleman and poet Peter Hektorović began the construction of his summer residence where he realized his idea of microcosm – a small, enclosed world where all divine creatures – fish, birds, plants and people had a space to live. 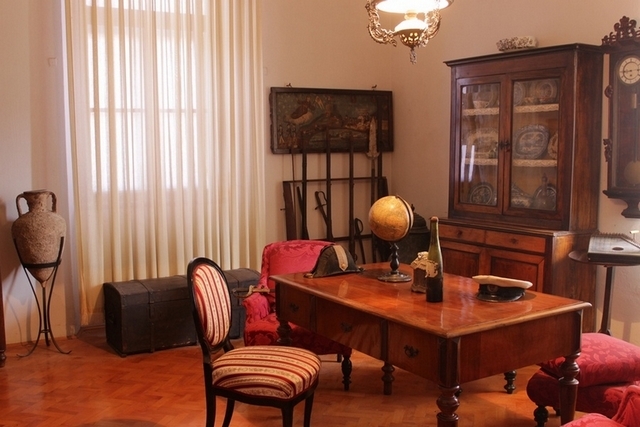 Due to Turkish raids, Hektorović undertook to fortify his villa so that it could act as shelter for him and his fellow citizens. 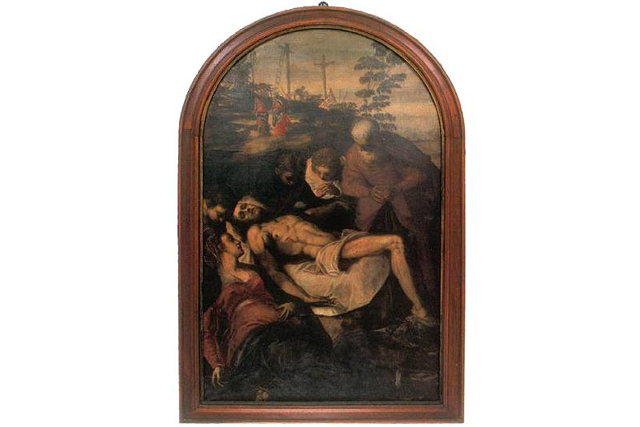 In the church of St. Peter was once the altar of Hektorović’s family, for which Petar Hektorović ordered the painting from the great Venetian master, Tintoretto. 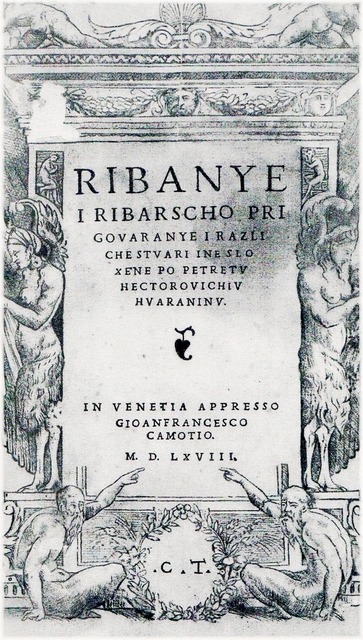 First edition of Hektorović’s “Fishing and Fishermen's Conversation” was printed in Venice in 1568. 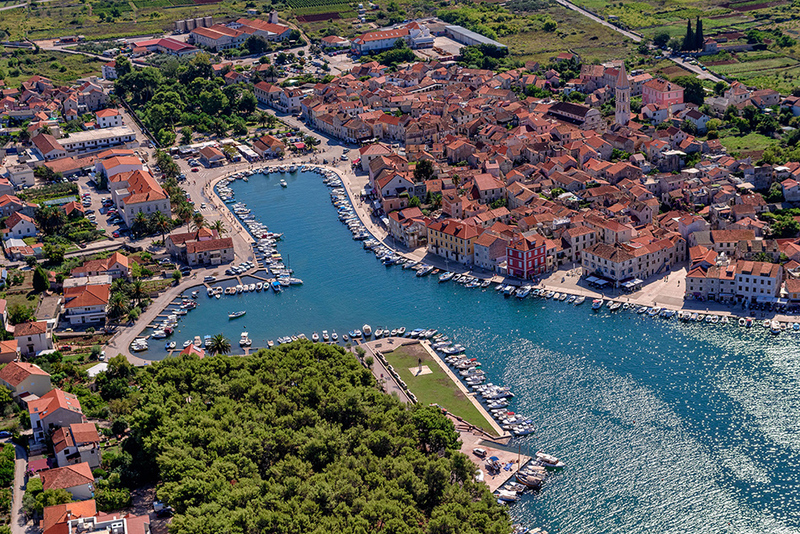 During the 17th and 18th century, Stari Grad is increasingly turning towards the sea; its many captains, ship-owners and ship-builders were growing into an influential social class. 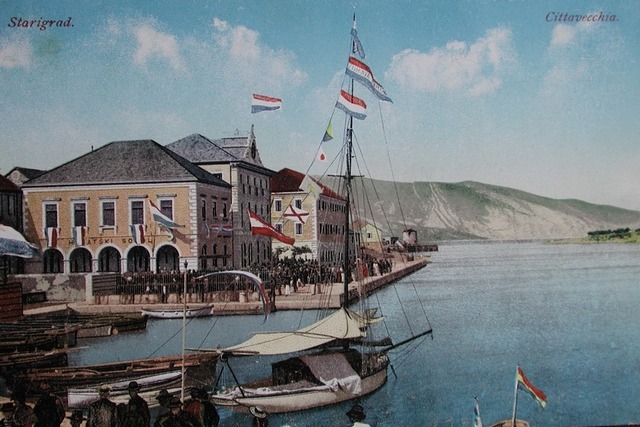 Old seafront (Stara Riva) was expanded and shipyards were built. 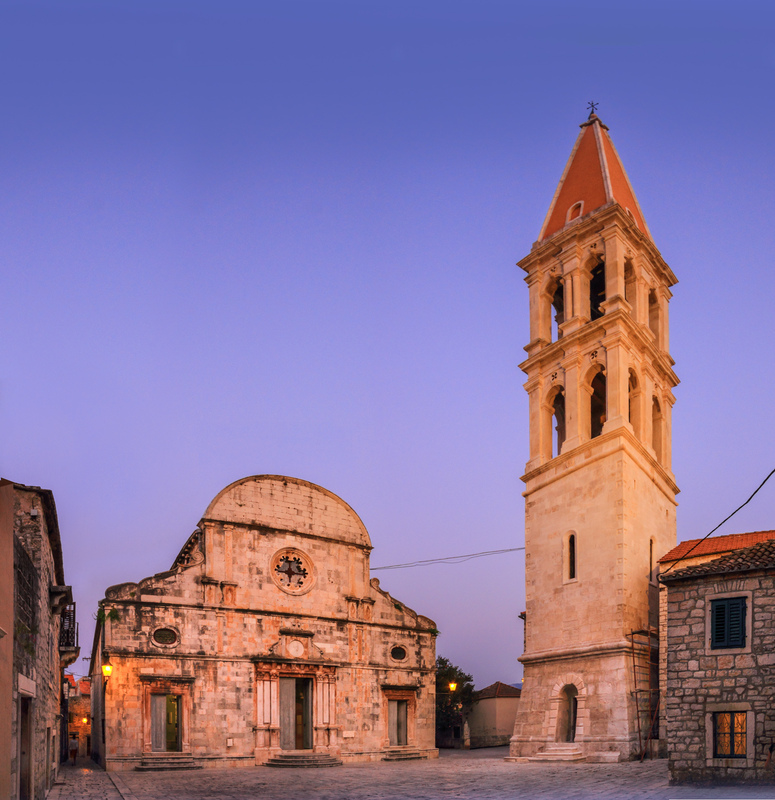 In 1605 begins the construction of the new parish church of St Stephen, which together with its bell tower is the most successful architectural expression of Dalmatian baroque. The masons of the bell tower carved in the second inscription above the entrance that the ground level of the bell tower incorporated into its structure stone blocks from the ancient city walls of Pharos, and what is today a place of worship was once the entrance into the Greek city. 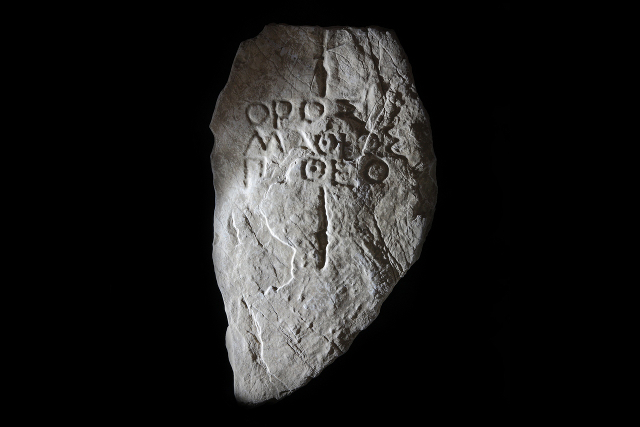 During the construction of the church and the bell tower, fragments of two Roman gravestones from the 2nd century were found. The first, winged Erote, is located on the southern part of the square, and the relief of a Roman merchant galley is built into the interior of the first gallery of the bell tower. In 1813, island Hvar became part of the Dalmatian Kingdom, itself part of the larger Austro-Hungarian Empire. 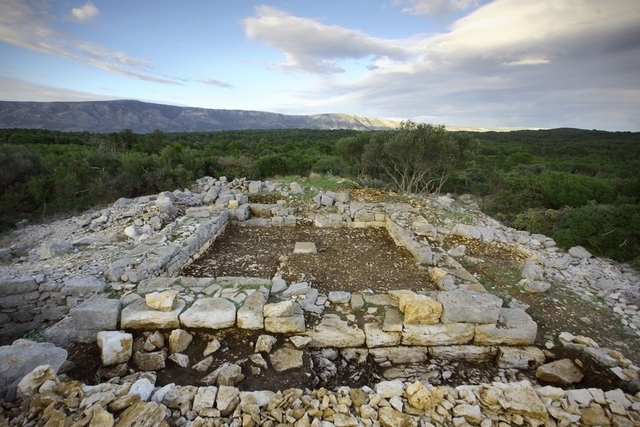 One peaceful century brought unprecedented prosperity to Stari Grad. Its mid-century fleet had more than 50 sailing ships that sailed and traded throughout the Mediterranean. Numerous representative houses were built along the old seafront. New school building, Croatian house, Biankini palace, the palace of don Šime Ljubić and other were built in this period. 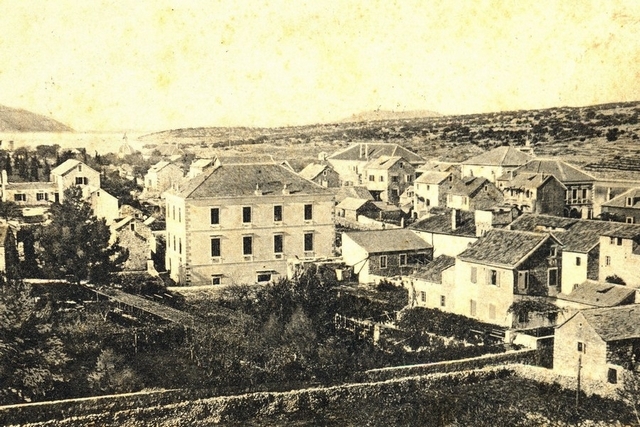 Stari Grad grew substantially and transformed into a lively trading port town, with Middle Street as the lifeblood of the city. For fifty years the sailors and fishermen from Stari Grad had a summer colony on island Lampedusa, in the western Mediterranean. They taught the Lampedusans how to fish and conserve pilchard. The beginning of the 20th century was marked by numerous emigrations due to the collapse of the grapevines and wars. Still, in 1927 public beach was built on the north side of the bay. 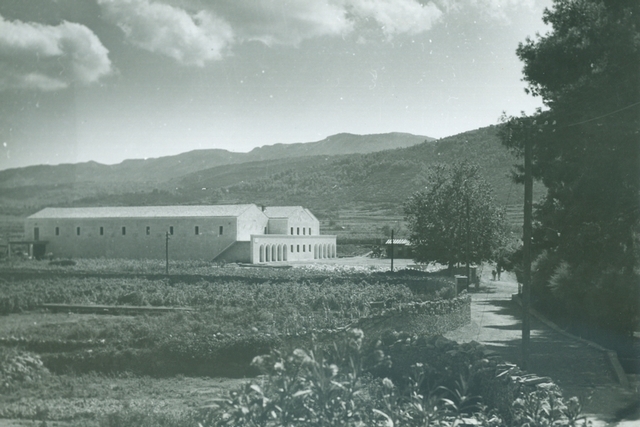 Second part of 20th century saw the construction of winery, summer and winter cinema, new roads, as well as the establishment of museums. The turning point in the life of the town represents the opening of the Helios hotels in the 1960’s. 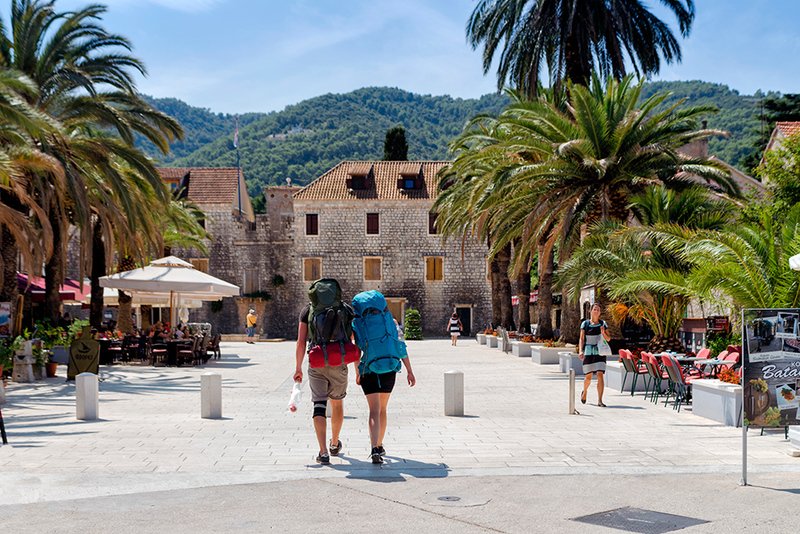 Since that time, Stari Grad is increasingly turning to tourism. 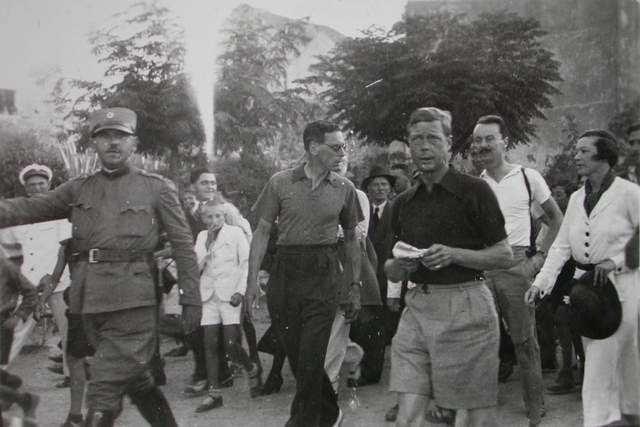 During the 20th century, Edward VIII and Wallis Simpson, and Jacqueline Kennedy visited Stari Grad. 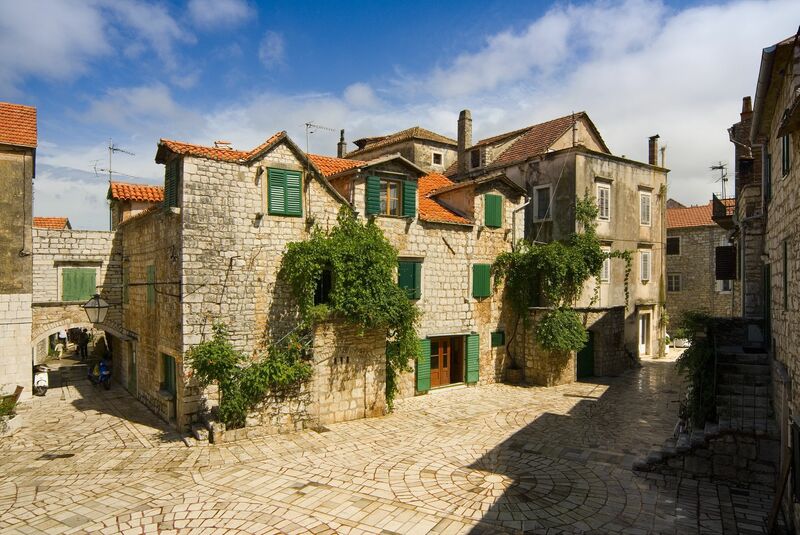 In 2016, Stari Grad celebrated its 2400 year anniversary since its founding making it one of the oldest towns in Europe. 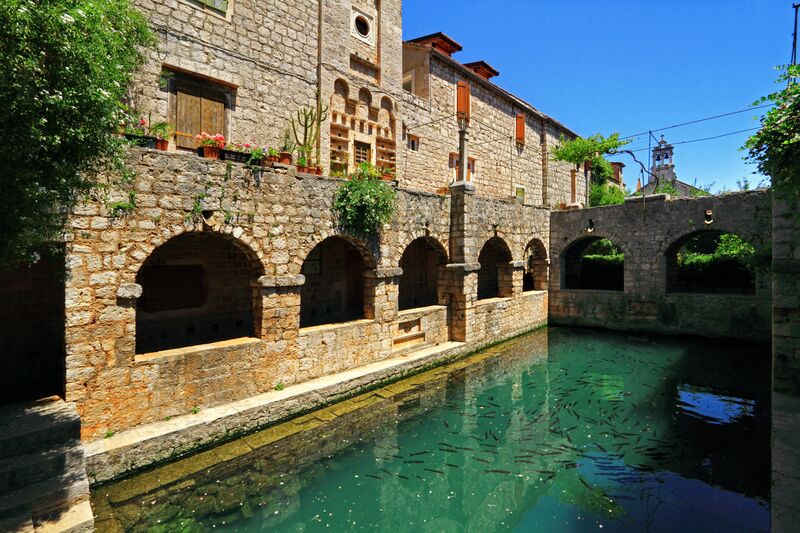 After 2400 years of continuous life in this area, today’s Stari Grad is a well-known tourist destination and visitors come to appreciate both its very rich cultural heritage and the authentic and Mediterranean lifestyle of its inhabitants who will gladly include you in their everyday lives. 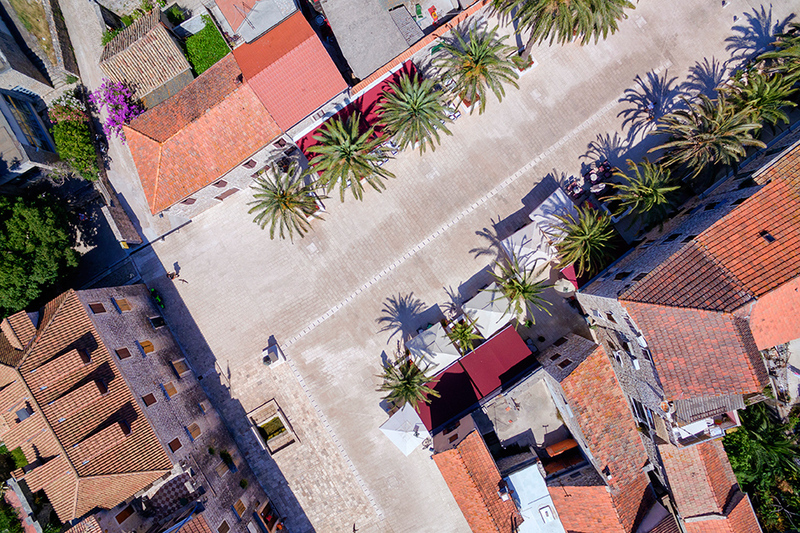 Stari Grad will offer you a review of its 2400 year old history but will also show you how a small Mediterranean and island town manages to function in an era of advanced technology. 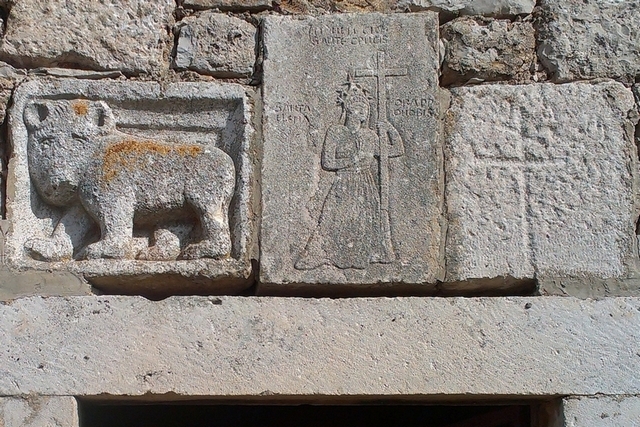 Historical centre of Stari Grad and the cultural landscape of Stari Grad Plain were inscribed in 2008 on the UNESCO World Heritage List.